Research is not something that people often tend to equate with PR. It’s not the first thing you think of when thinking about the duties of a PR professional and what they spend their time doing, and it’s not what most aspiring PR professionals are dreaming about doing. But it actually is a major part, and very important to the success of any PR endeavors. It’s important in PR to stay on top of trends and changes in the industry. It is changing constantly. PR and all the things that go into it or are tools that we use: social media, media relations, content marketing, the internet, it’s all changing so much and it is really important to stay on top of these changes so that you are always up to date and know how to do the job to the highest current standards. Clients look to their PR representation for advice and expect them to be experts in all the aspects of PR that they themselves are not experts in and do not have time to learn about. That is a major part of why they hire someone to take care of PR for them. 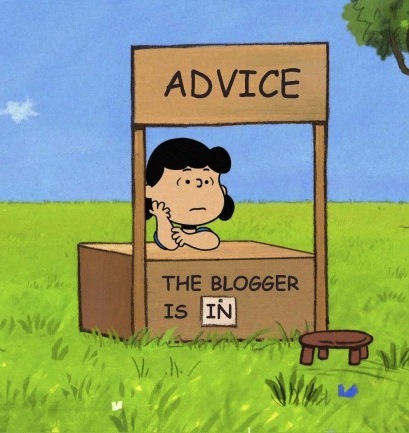 Therefore, it’s important that you stay completely on top of it all, so that if they ask you a question about a new trend you are aware of it and either know the answer, or can have intelligent information related to it to impart. In addition, even if they do not know to have questions, they rely on you to be offering the best services possible and be able to successfully use new tools and be up to date on all applicable trends so that you can do your job well and not get stale. In order to do this, you must be constantly researching industry trends and information. Each day, try to read not only pertinent articles and information that you see your networks posting and discussing over social media, but also a couple of new articles that you find yourself just by browsing. In addition to research about PR, you also need to be doing research on the industry that you help promote. What do your clients do? Yes, you can promote them by being familiar with their brand and their offerings and pitching that to the media, but to be even more successful, you need to also do research on their industry in general. Being knowledgeable about industry trends that relate to your client will help in your pitching and your creativity coming up with fresh ideas. Your client will also appreciate the fact that you know about their field and are able to offer your own specific ideas outside of general PR practices. The last area that is important to research is the media that you interact with. Yes, you may have an impressive go-to media list that results in great coverage for your clients, but media changes very often. It’s important to regularly search the industries you cover to see who has begun writing about it recently, or what new publication exist that you may not know about. This is very important if you begin working with a new client that is in a different industry than you have worked with previously, but it is still important even if you have been working in one industry for a while. Things change- writers and editors come and go, as do publications. You do not want to miss out on opportunities because you have only been reaching out to the same list of people over and over again. A helpful tip for keeping up with all this research is to search for blogs and websites that cover news and updates on your industries to return to on a regular basis. You can even find existing lists (for example Best PR Blogs) by doing a quick Google search, and start out by browsing those. Find the ones that you find the most interesting and informative and check in with them daily. Another easy way to keep informed is to just Google search the name of the industry you are working with and click on the ‘news’ tab so it shows recent news articles about that topic. Be sure to do it often and to try different terms and phrases that all relate to what you are looking for so that all of the related results come up. Stick with this research and you will be well on your way to becoming an informed and knowledgeable professional. 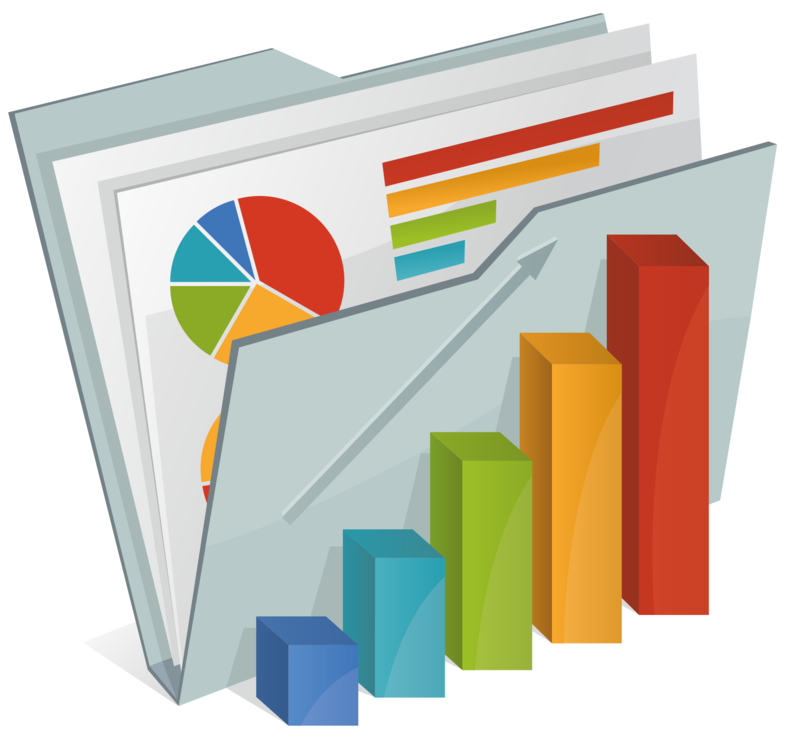 Reports can be powerful documents for a company to have. They show that the company is interested in and takes seriously their industry and can often position them as an expert in said industry. A report can be a great document to have on your company website so prospective customers can learn a lot of information about the industry or specific company all at once. They can also be great printed documents to send to or hand out to prospective customers or any audience who may be interested in the industry or your company stats. It shows that you take the time to do research and compile useful information for the consumption of your audiences. There are a couple things to keep in mind when putting together your report, in order to make it as useful and simple as possible. Do lots of research. The more research you have the better your findings and report will be. You don’t want to start writing the report and realize you don’t have enough data to make sense of it. Also make sure you have done research about the aspects that will serve as background for your report. Maybe your report is on one specific piece of the industry, but it’s helpful to offer background on the details of the other companies you included in the report in order to make it a well-rounded write up. Compile all the data in an easy to understand format. You need to be able to comb through the information and determine what you want to use and how best to lay it out in the document. Nothing will be more frustrating later than trying to go through your data and realizing it’s a jumbled mess that you cannot decipher anymore. Break it up into sections. Everything is easier to read when it is in sections. Break it down and give each piece a clear heading. Keep it all clear and concise, while including enough information and background that it makes sense to the reader. Make it look nice. Use graphics and charts to help illustrate the main points as well as help make it look pleasing to the eye. Use at least one color besides black and white to add interest. Don’t go crazy here, you don’t want to go overboard, but you don’t want it to look boring either. Proof read three times and have someone else do it too. Go over all the text and all the information and make sure it all makes sense and there are no errors. Make sure that any potential questions are answered in the report. This is where it is a good time to have someone else help you, because they will be able to give an honest opinion about whether it all makes sense or if some of the information brought up questions that did not seem fully answered in the document. Being so close to the industry and the project you may find certain things obvious, but different questions arise to an outsider. Once you have a great report, distribute it by every means you have. Put a PDF of it on your website and link to it on social media and include it in your monthly newsletter. Print some copies to send to people who may be interested and give it out to prospective clients. If it is an industry report on a general topic, send it to trade publications who may be interested in publishing it or linking to it on their website as a resource for others in the industry. People will appreciate being able to see a neatly compiled report about data that is important to them and they will look upon you as an expert in the field for having compiled it. If you think you may want help creating or compiling a report for your company, contact us to see how we can help! Now that we’re well into the new year and beyond making our major goals and resolutions it is a perfect time to evaluate your brand. Yes you took the time to set the goals and plan out what you want to accomplish through the upcoming year, but now is the time to think about one thing that you may easily overlook but will definitely contribute to your success in completing your goals. It’s the actual brand identity. Now is the time to think about whether it can be updated and improved. Brand identity is important, as it is literally the face that your brand puts out to the world. People judge you and your brand based on this. It is portrayed through all the materials that you put out, like your website, business cards, flyers, menu, social media accounts, etc. Some brands have these all completely cohesive, informative and visually appealing and exciting. That’s great. But oftentimes all the different components that make up a brand identity get created over the lifetime of the company and may not all entirely represent the brand in the same way or in the best way. Another issue is that the company may have been around long enough that the brand identity is just outdated. Take a long look and evaluate every aspect to determine honestly if either of these are the case for your business. 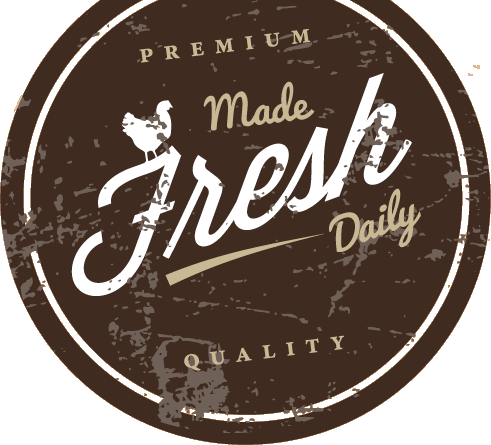 Keep it fresh by updating your branding to match your current business goals and customer base. Make it appealing to the people you want to reach. Make sure your website is clear and information is easy to read and easy to find. Make sure it includes everything that it should. Think about if there is anything that you can add to your branding that will help with your brand identity or will help you connect with customers more. If there are, start figuring out ways to implement them. If you already have a really great brand identity don’t stop there. Continue to keep it fresh through the content that you put out. Update your social media often, keep the information on your website up to date, continue to improve everything you do so that it stays up to date and will continue to resonate with the audience. People can tell when you are using stale and outdated information and if they don’t think you are keeping up to date they will assume that your product may not be up to date either. Whether it’s a whole new logo or website, or just updating your social media content consistently, keeping your brand fresh and relevant will keep it appealing to your audience and customers. People base a lot of their opinions on the first things they see about a business, and they put a lot of stock into the way a business portrays itself, often picking one over the other based on this. Evaluate and be honest with yourself about whether you could use an update. One of the best ways to get coverage when you’re working with a fun client that is not dealing with hard news is to take advantage of timely occurrences. These include current events, interesting things that are happening in your area at a specific time, and, one of the biggest ones—holidays. Tying in with something timely allows you to take advantage of possible coverage opportunities you may not otherwise have. Not only do writers often look for stories that have to do with a timely matter, but they will often be more open to pitches that have to do with a timely matter even if they weren’t already planning something, especially if you have a convincing argument as to why they should. In addition, this opens up new opportunities for a ton of trend pieces. Your tie in may not make a whole story, but there will undoubtedly be multiple pieces about the holiday or event and different things going on related to it, which you can then become a part of. All it takes is a bit of research and the ability to think on your toes. If you look into things going on in your area for the upcoming couple of months or year you can plan fun events or promotions to coincide. Also keep up to date with current events and news so you can come up with ideas quickly if something unplanned occurs that you can tie into and benefit from. 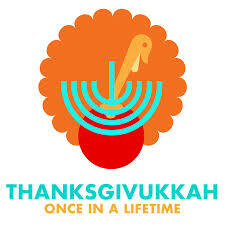 For example, recently it came to the country’s attention that the first night of Hanukkah was falling on Thanksgiving day, thus creating Thanksgivukkah. A pop up restaurant that was already planning to host a dinner in the middle of November decided to theme it around the holiday and we were then able to get mentions in multiple articles about how to celebrate the holiday and what recipes to make for the day, in addition to the regular event coverage we would have received. One thing to keep in mind- do be careful not to take advantage of any occurrences that could at all be considered negative to certain people or groups. Yes you want to get publicity where you can, but you don’t want to alienate anyone or seem to be prospering from others’ misfortune, so be sensitive and only use timely occurrences that are positive and come up with ideas that can be enjoyed by all. Securing a new client is always a cause for celebration. It’s exciting to have some new business, and to have a chance to work with a great new brand. There is so much possibility to launch an amazing campaign and get great results. Before you get started though, there are a few things you need to do first to make sure everyone is on the same page and you get set up for a long and happy working relationship. Sit down together and write down goals and wishes. It’s important to know exactly what the client wants from you and have concrete goals in mind when you’re starting out. You can also set some goals that you have for the relationship- they don’t have to all come from the client. 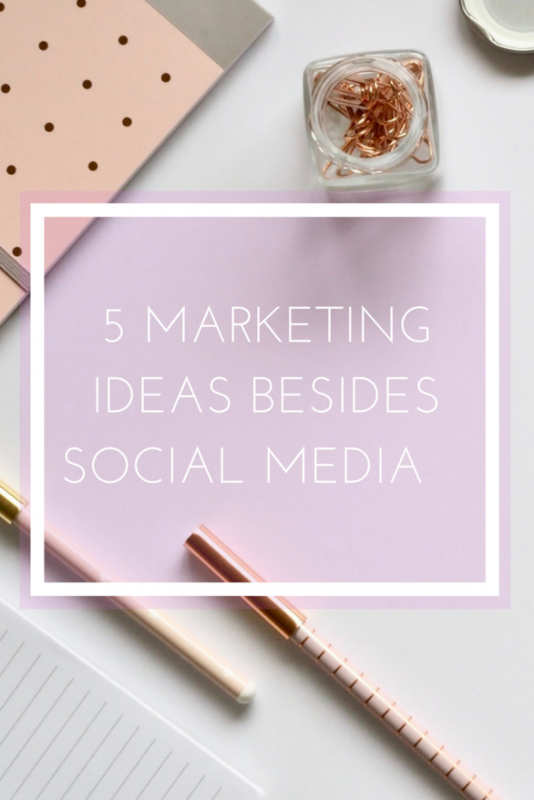 Perhaps you have some ideas that you would like them to carry out that you know would help through your PR campaign, or you have some ideas of ways you would like to promote them that they won’t have thought of. Bring it all to the table at this point so they remember why they hired you and can get excited for what you will offer them. Write everything down so you can use it in your planning process and also to look back on months down the road to gauge your success. Also set reasonable expectations together. It’s important to set expectations at the beginning so that both sides know what they can look forward to and what they can hope for from the other. Sometimes clients have very high expectations, which can be OK, but some can be impossible to obtain. You don’t want to promise anything that is not realistic. Of course nothing is guaranteed in PR, but there are certain things that you generally know you can and can’t deliver upon. It’s ok to have some reaches as long as you all know it is a long shot- I’m all for trying for something bigger than you’ve ever achieved before, but make sure the client knows that it’s above and beyond the norm. It’s always better to under promise and over deliver than over promise and be unable to deliver expected results. Sign an agreement. You may love your new client and already have a great relationship with them. They may even be your best friends. It doesn’t matter. Whenever you start a business relationship you must put agree on a contract of some kind. It can be as casual or as official as you’d like, but make sure it clearly states what is expected of both parties and what the terms of payment will be. State how much and when you will be paid, and if there will be any extra fee for late payments. Include a clause about the process for how a contract can be ended early. You never know. If you’re drawing the agreement up yourself have a lawyer or at least someone with a strong business background look it over for you. You can also find official contract templates online. Plan, plan, plan. Now for the fun part! The next most important thing to do after getting a new client is to plan the communications strategy and all the aspects of the PR plan for the coming months, and then launch and execute the campaign. Make sure to create a detailed and thorough plan and discuss it with the client so that they know what you will be working on and what is needed from them. This plan will be your day to day guidebook of what to do for each client and will help you keep on track and make sure you reach all the goals you set out at the beginning. It can and should be updated from time to time, but in general you should stick to this.ite it down so you remember and have it in writing for the future. This way there can never be an issue of over or under communicating with them because you will stick to what they asked for at the beginning. Getting started with a new client is exciting. Everyone has different processes and different preferences for how to integrate a new client, but these are certain things you should always do to make sure you cover the basics at the beginning and start off on the right foot. It’s often said in PR that you have to expect the unexpected. You’ve probably heard a million times that there is no ‘typical day’ in the life of PR. This is because things change at the drop of a hat and you are always switching gears multiple times throughout the day and changing your plans at the last minute to accommodate clients, media, or any number of last minute developments. It can be tricky, because PR people have to be very organized and task oriented in order to get everything done, which often translates to the type of people who plan their days, live by ‘to do’ lists, and never go anywhere without their agenda book. 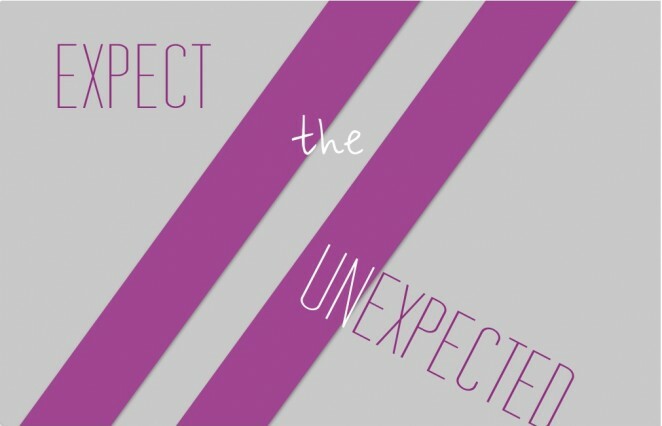 Yet even with meticulously planned out days, sometimes down to the hour (or quarter hour), you have to expect the unexpected and be able to have your day go in a completely different direction with no warning. Even though there is obviously no way to actually expect the unexpected, there are some things you can do to roll with the punches and make sure that it doesn’t bog you down or discourage you from getting everything done that you needed to. Keep a running to do list– Carry this with you. 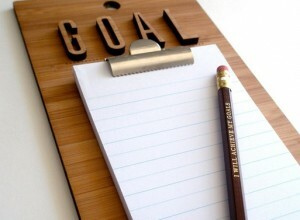 Keep up a current, running to do list of all the immediate tasks you need to get done. Add to it as things come up or change. Write down literally everything so nothing slips through the cracks or gets forgotten. You never know when the phone will ring and you will be completely distracted from everything you were planning to do. Even if you never get to the second thing on your list for the day, you can review it at the end of the day to make sure you can finish up the most important tasks and know what you should start with the next morning. Come up with backup plans– While you never can really know for sure what will come up, there are some ways that you can plan for different situations. Have a few different scenarios for each day, especially if you have something especially important planned. Not to be a pessimist, but think of what could go wrong, or make things more difficult for you, and think about what you can do to mitigate the damage. This can be useful in even the smallest instance, like if a meeting is cancelled at the last minute, or the train breaks down and you can’t get into the office in time. Always be prepared and have different ways of dealing with things so that if the unexpected happens, you have a chance of already being one step ahead. Communicate well– Things come up. They always do. Whether they are positive or negative, it’s always best to communicate clearly and quickly with everyone involved. This is easiest and best if you already always have good communication with everyone on a regular basis. If something happens and you have to break potentially bad news to a client, talk to them right away and be upfront about it. If you find out your plans are changing at the last minute, be sure to let your team know and anyone else that you were planning to interact with that day. It’s better to let someone know that your plan may have to change as early as possible and playing it by ear, than waiting until the last second to mention that something changed or that you need help. Regroup and get organized– At the end of each day, when you have a chance to catch your breath (and yes this may not be until 10 PM) go over the outstanding tasks you need to accomplish. I do this at night just before going to bed. Start your to do list for the next day, review anything you may need to have ready for the morning, and dare I say it- bang out a few quick things in the quiet of night that will take a bit off your plate for the next day. Sometimes it can take ten minutes at the end of a day to finish a couple little things that have been hanging over your head for days but you never get to during the workday. Dealing with them when you have the time frees you up for the things you need to do during working hours and guarantees you will have a few crucial things done for the next day even if something comes up and take you away from your regular schedule. Summer. The season for sun, sand, BBQs and vacation. Longer days, higher temps… just as much work. It can be hard to concentrate and stay focused in the summer. It sometimes seems like everyone you know is off on vacation, or having half days on Friday, or that you can’t waste this beautiful weather cooped up indoors on the computer. But you have to. Work is just as important in the summer as in the winter, and while you should definitely take a vacation if you can swing it, you also need to figure out some surefire ways to stay productive on a day-to-day basis., especially if you work from home or have a small business. 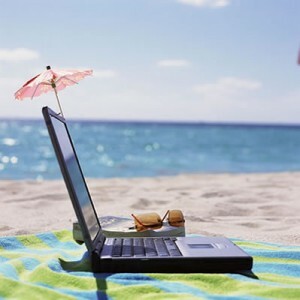 Here are five things to alter your daily routine this summer to ensure you get all your work done. 1 Plan three top priorities at the beginning of the day or the night before and then make sure you get those three things done first. Continue with the rest of your list upon completion of the top three priorities, but at least this way if the gorgeous afternoon is beckoning, you got the most important tasks completed. 2 Turn off your notifications. Nothing is worse than seeing photos uploaded of the beautiful summer day, or status notifications about a day at the beach. Turn off notifications or set yourself a certain amount of time during which you are not allowed to check social media, personal email, texts, etc, so that you can get work done without the distraction. 3 Take a lunch break. It’s hard to find time to actually stop and take a break in the middle of the day. It may sound counterintuitive, but try to force yourself to take a break at least for 30 minutes. It can be tempting to work through lunch in hopes of getting out of the office early, but let’s face it- that never works. In reality you just end up missing the whole day of sunlight and getting burnt out. A quick 20-minute walk outside can make you feel like you are getting to enjoy the day and also be rejuvenating so that you are actually more productive the rest of the afternoon. 4 Set short goals. Break the day into manageable chunks so you can feel like you’re reaching goals all day long. Set aside enough time for each project that you could reasonably get it done, and then work on each thing as scheduled. Knowing you have one hour to work on a client report will encourage you to get it done in that timeframe, and then when you finish it you will feel the achievement of having reached the goal. Bonus- if you finish anything early, you either get to take a small break or get ahead of schedule and possibly finish work early for the day. 5 Take a half day! Yes, if all else fails, it is summer after all. Sometimes having something to look forward to, like a half day on Friday, is all it takes to make you push through the rest of the week full steam ahead. You deserve to enjoy the summer too, and if you get enough done during the week and have no pressing deadlines, by all means take a few hours for yourself! Have you tried any of these? What helps you be productive when you’d rather not be? Follow us on Facebook to keep up with what we’re doing this summer! 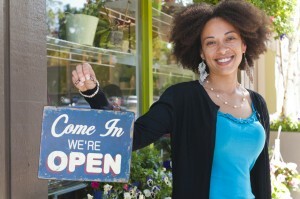 According to a recent article on Mashable, 48% of Americans want to be entrepreneurs. That’s a very high percentage, considering how many people actually do it. If you think about your friends, are nearly half of them entrepreneurs? Probably not. The truth is, even if people dream about starting their own business or coming out with the latest product, many never end up feeling able to actually take the plunge and do it. Being an entrepreneur sounds glamorous and fun. You get to act on your great ideas, spend time working on something that truly has meaning and fulfills you, and you get to work for yourself on your own time. It really doesn’t get better than that. Except that there is a lot more to it. There is the stress of having all of the responsibility of the business, the long hours you must put in in order to get it off the ground, the financial requirements and hurdles. It’s easy to see why a lot of people never get started. But people should always go for their dreams. When people decide to set out on the entrepreneurial path, that is when new ideas come along and changes to the world as we know it begin. An entrepreneurial world provides progress and success. If someone has a great idea they should do whatever they can to go for it. All you really need is an idea. This is what is a bit unclear – do 49% of Americans actually have a feasible entrepreneurial plan, or they just think it would be fun to be an entrepreneur? Because actually having a useful idea is the important part and also the hard part. So if you have an idea, run with it! Go for it. Start your business and live your dreams. Yes it may be hard work, but it seems like you want it. It seems like almost half the people in America want it, and it’s not hard to see why. We should support that fact and support all those who want to get out from behind their desk and start a business. 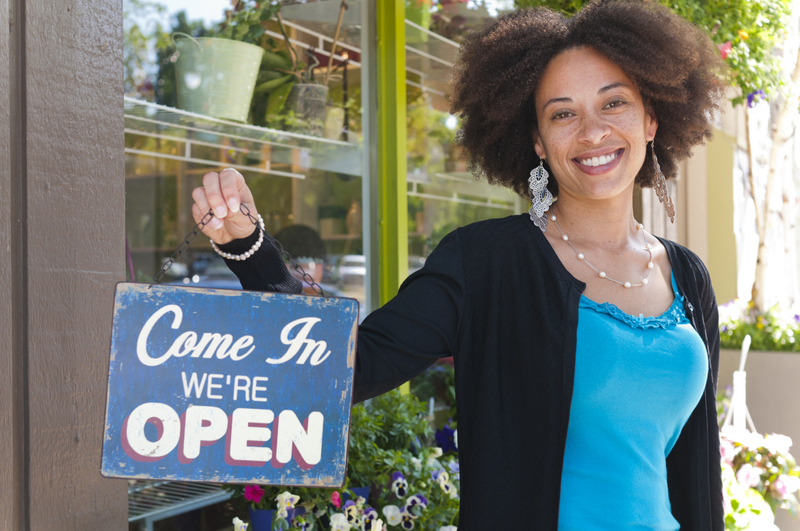 Start planning your new business today. 1 Do your research. No matter what it is that you are going into, a new job, a client meeting, an after-work event, know everything you can about it. 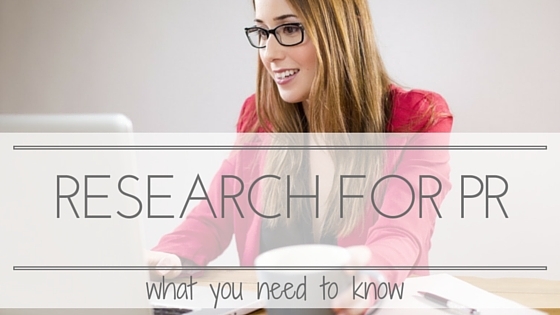 A simple Google search beforehand provides so much information that may come in handy once you get there. It’s better to be over prepared. You should be able to talk like you know what’s going on and be able to offer ideas and ask informed questions in the first few minutes of the new situation. 2 Work hard. You may not have anyone pushing you or you may feel like you’re doing good enough. Alternatively, you may feel that you are doing everything you can and there is still no way to succeed. Find the way. Figure things out, even if it requires extra work or doing things in a way nobody has done before. People will appreciate it. Nobody owes you anything but being young and new to the industry, you have so much to prove. Those things you keep seeing about how to achieve work/life balance? Ignore them. Your work is your life, or at least it should be for the first couple of years until you have earned something. 3 Find a mentor and take advice, or at least observe everything you can. I see this in a lot of these lists and I couldn’t agree with it more. Finding someone who already has experience and connections and has the ability or desire to be a mentor is one of the most valuable things you can do. It doesn’t have to be a formal mentoring relationship, just someone who will take you under their wing and be willing to share their knowledge and experiences with you. Observe everything: what they do, what they don’t do, what you would do differently- it all will help eventually. 4 Keep up on the news. In the PR industry we live and thrive off of the news. You will be expected to know what’s going on in the news each and every day. This includes PR industry specific news, world and local news, and even pop culture news. It actually can be time consuming but it’s important to know what’s going on around you. It’s important to know what the current trends are in order to do your job successfully and the trends change quickly. Yes you will have to actually schedule in time to devote to keeping up with the news. But create a system and stick with it each day. 5 Practice however you can. Don’t turn down any opportunity to gain more experience and practice your craft. Volunteer with a local organization that may need PR help, take on a non-profit client that may not have a PR budget but you believe in, offer to help on extra accounts at work. You never know what something may turn into and the opportunities it may provide. Consider every event you go to and every situation where you’re meeting people as a networking opportunity. Always hand out and gather business cards, meet as many people as possible, and practice selling yourself. What would you tell your young professional self if you could go back now?